Last week was a busy week for the Smart Hustle team, so there is plenty to share in this Smart Hustle recap! As you know, we typically feature 3-4 of the hottest stories in our recap. This week, we also have some exciting news to share with you. 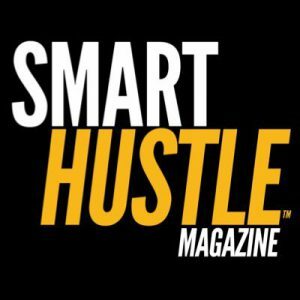 Smart Hustle has welcomed Peter Shankman as a contributing editor and advisor, plus we launched a small business community on Facebook! Read about these new developments plus our top stories below. Smart Hustle is proud to serve the small business community by providing informational articles and inspiring stories. Earlier this year, we conducted a survey to find out what other things our readers would like to see, and an overwhelming majority relayed their interest in more community activities. This week, Smart Hustle answered the call by launching a small business community on Facebook. Everyone is invited to join this group, where you can ask questions, give advice, discuss small business topics, participate in live video chats, and even win prizes! Peter Shankman is the epitome of a smart hustler. As a successful entrepreneur, Peter created HARO (Help a Reporter Out), a service that helps journalists connect with small business owners (who can then benefit from free marketing). He is also an author, speaker, consultant, and an entrepreneurial investor whose projects include SCOTTeVEST. This week, Smart Hustle announced that Peter will be joining the Smart Hustle team as an advisor and contributing expert. Stay tuned for great things – Peter Shankman and Smart Hustle will be an unbeatable team! Have you ever given up on a dream because you were intimidated by the journey you would have to take to reach that dream? It’s true: our biggest goals are the hardest to reach, taking countless days, months and even years of our blood, sweat, and tears. That shouldn’t stop you, though. In this interview with Chris Capehart, you’ll learn about his new book that breaks down the ‘proverbial mile’ to your goal into smaller, achievable steps. As Chris explains, if you focus on the small steps instead of the long journey, you can reach any goal you have. Today’s technology has made it easier than ever to collaborate with your small business team members. 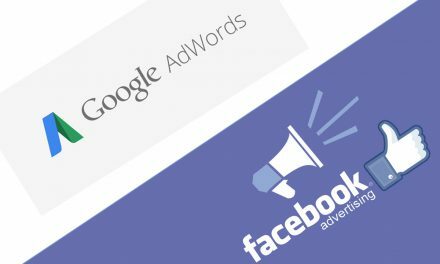 The problem is that there are so many collaboration tools to choose from that it can be difficult to know which will work best for your business. In this article (and video interview) we learn about a new collaboration tool called Intraboom which offers features such as messaging, calendars, file sharing, a main dashboard and more. As I mentioned, it was a very busy week for the Smart Hustle team! In addition to the articles and announcements listed here, there were several other articles and interviews, including what you need to know before starting a business, how to create a positive work environment, Kevin O’Leary’s 3 rules for giving a perfect business pitch, and so much more! Check out the Smart Hustle website to catch up on these and other stories. NextAre You Maximizing Tools Like Google To Improve Your Life? Get The Most Out of Your Apps.